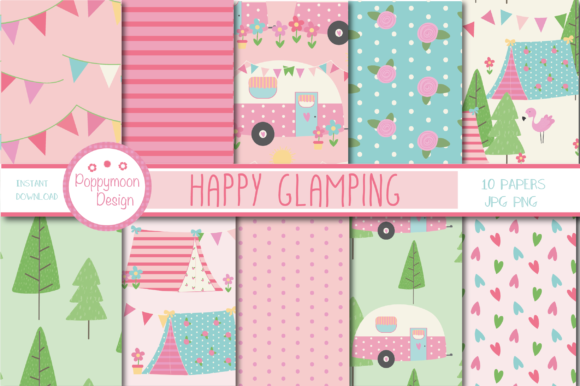 A sweet set of clamping papers, which include, caravans, bunting, floral and stripes, all created in a sweet pastel color palette. 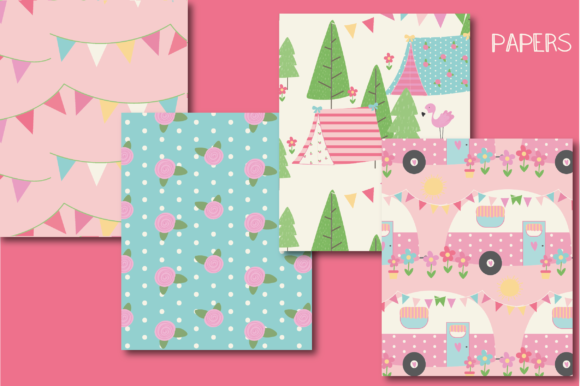 Great for party invites, backgrounds for crafts, stationary and greeting cards. 10 Coordinating papers , paper sheet size 12″ x 12″, file format JPG and PNG. Coordinating Glamping clipart can also be downloaded separate.